Waking up at 7:30 a.m. to take a shot of Vitali. Screaming our voices away in the blazing sun of California Memorial Stadium. Spending an entire Saturday reveling in California pride rather than doing homework. These are just some of the sacrifices we’ve made for you. But believe us when we say, it was all worth it. Every scraped knee, delay in studying and lost voice was worth it. Our love was a great one — intense, emotional, and quite often painful. You’ve caused us a lot of physical injuries, from sunburns to inexplicable bruises to debilitating hangovers. On seven Saturdays this fall, you came barreling into our lives, robbing us of our better judgment, encouraging us to put off all of our responsibilities so that we could enjoy you to the fullest extent. Without you, we could have spent our Saturdays doing homework, catching up on sleep, exploring the Bay Area or pretty much anything besides taking shots at noon in the backyard of a frat. In some ways, we’re relieved for our lives to return to normal when you go. But those seven Saturdays you gave us were rare gifts. Despite your negative influence on us and our life decisions, we wouldn’t trade a single second of raging at a frat or cracking open a cold one at Pappy’s or cheering “Roll on, you Bears” in the student section for the world. The memories of reckless fun, although they may be blurry, will stick with us forever as the highlights of our college years. You were a unique opportunity to forget about the stress of life here at UC Berkeley. You provided us an excuse to be wasted at 10 a.m. on a Saturday. You allowed us to spend an entire day worrying about nothing besides staying hydrated and whether or not the Bears would convert their third downs. You gave us something to cheer for when the world seemed, quite frankly, pretty awful. And for that, game days, we are eternally grateful. As the regular football season comes to a close, so does our time together. We were lucky enough to be granted one more week with you, but now we must say goodbye. We will miss waiting in line among fans of the opposing team in Taco Bell, all united in our mission to satisfy the “drunchies” with a Crunch Wrap Supreme. We will miss stumbling into Memorial Stadium to experience the roller coaster of emotions that is Cal football. 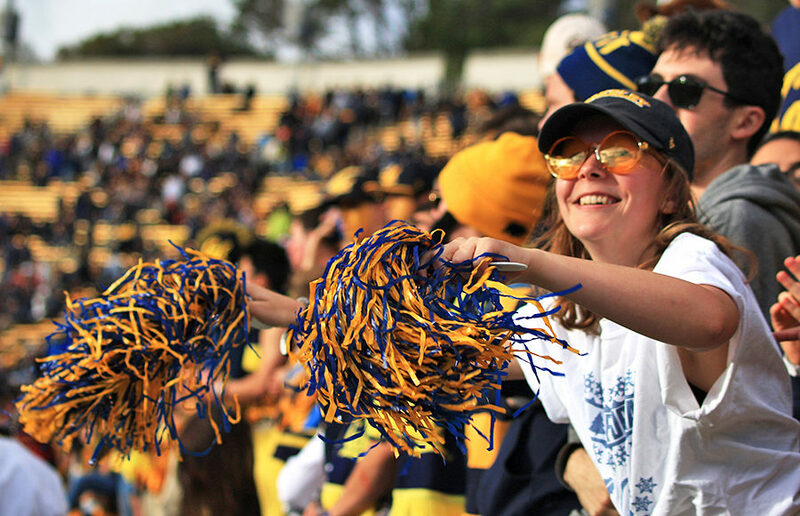 We will miss getting decked out in blue and gold to share in the California spirit of young and old Golden Bears alike.